KATHMANDU, Sep 12 : South Korean mountaineer Hong Sung-taek, who already have made the attempts to summit Lhotse for four times, is going to attempt his fifth climb to the 8516-meters-high summit. For his fifth attempt he has headed toward the base camp of Lhotse on Saturday with his team of 14 members. 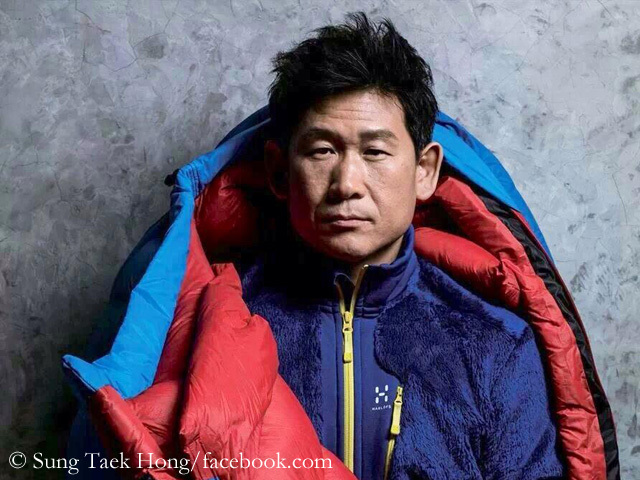 Mountaineer Hong has already climbed Mount Everest (8,848 meters) and Shishapangma (8,046 meters) successfully. Hong has already successfully climbed 18 mountains of different countries including Annapurna and Dhaulagiri of Nepal. He said foreigners come to climb the Mount Everest only, and no one dared to climb Lhotse, which has been considered tough to climb due to technical difficulties. Hong has attempted to climb four times from the southern route of the Lhotse. As the route and the climate did not favor him, he had to return from half way of the summit, said Wangchu Sherpa, a member of mountaineering team and managing director of Trekking Camp Nepal. Hong, who is also the team leader of the mountaineering team, is climbing to hold a record this time despite the technical difficulties. Spanish mountaineer Egocheaga Jorge is also joining the mountaineering team. Mountaineer Jorge has already climbed Everest 14 times before this. According to Civil Aviation Authority Nepal, no mountaineer has successfully climbed the Lhotse from the southern route yet. Although a Japanese team had attempted Lhotse before, however they were 41m far from the summit so CAAN said that it could not be registered as a successful ascent.